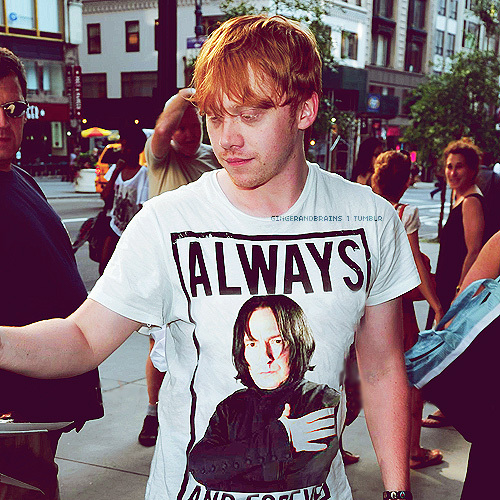 Rupert Grint - Another Snape's fan. . Wallpaper and background images in the severus snape club tagged: severus snape rupert grint fans of snape t-shirt. This severus snape photo contains jersey and camiseta. And this is one of the reasons I love Rupert Grint. I wish I could have such a shirt. I love Rupert and agree with BlackHound.